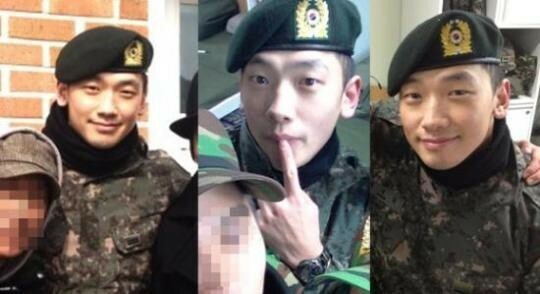 Singer Rain's photos during his time in the army is catching a lot of attention. Recently a photo of Rain in the military was posted online. In the revealed photo, Rain is smiling cutely while wearing his uniform. In another photo, he is posing cutely with a finger held up to his lips.